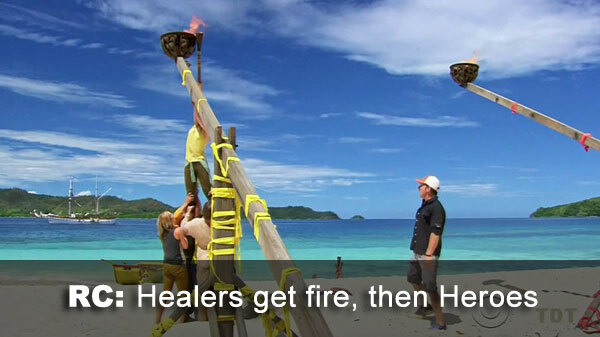 Ep.1: "I'm Not Crazy, I'm Confident"
Ep.1 Reward/Immunity challenge: "Quest for Fire" - (sort of, anyway) Healers light their torch a few seconds before the Heroes, get a large fire-making kit for doing so. 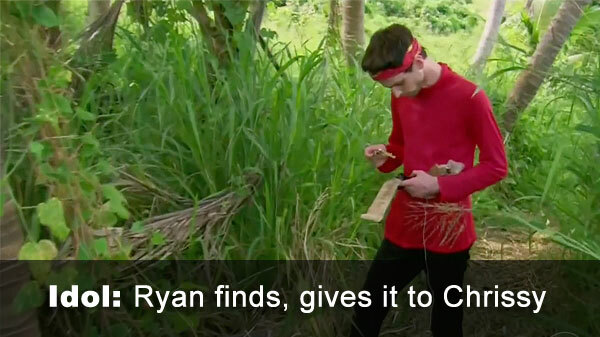 Ep.1 advantage/superidol: Ryan finds it on the ship, has to be used or gifted this episode; after bonding with Devon over it, he sends it to Chrissy. 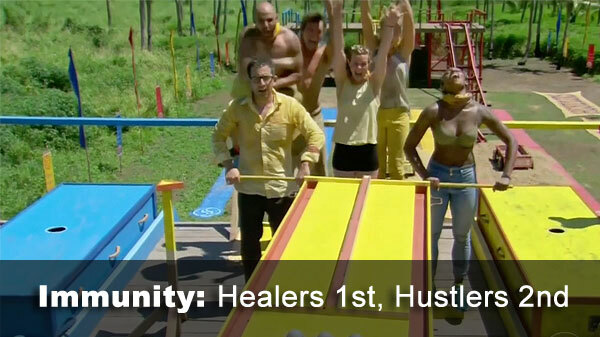 Ep.1 Immunity challenge: "Tracks of My Tears" - Healers win again, Heroes fall just short once again, this time short of second (which the Hustlers take instead, get flint for their troubles). Ep.1 voted out: Katrina, 5-1 over Ashley. Chrissy declines to save her with the superidol. Notes: As always with three tribes, second place counts as half a challenge win (then divided by number of participating tribe members). So 0.0833 wins (0.5/6) for second place, 0.1667 (1/6) for first, and nothing at all for third. - Katrina received 5 votes, from Alan, Ashley, Ben, Chrissy, and JP (voted out, 5-1). - Ashley received 1 vote, from Katrina.